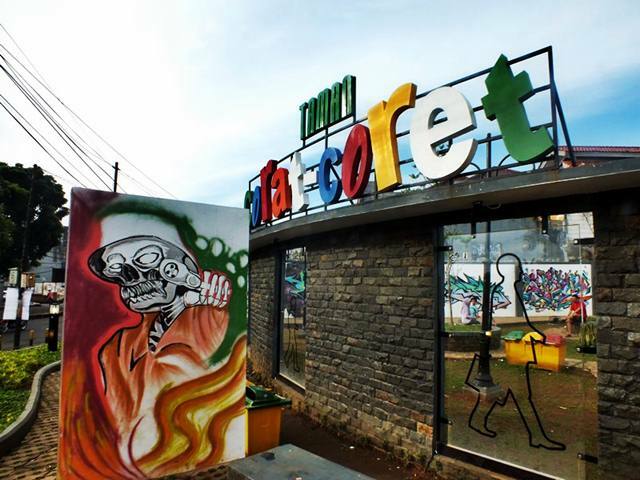 The park actual name in Indonesian is Taman Corat Coret or if using a direct translation, the name should be the Scribble Park. However, seeing the technic utlized by artists to produce artistic pictures or doodles, probably it is better to call this place as the Graffiti Park. This is a place newly set up not too long ago, January 2016 with the background to give Bogorians a place to funnel their creativiy or critics on the right place. 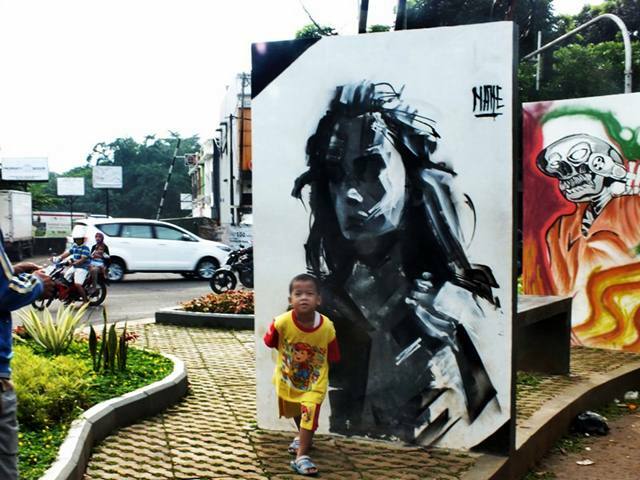 Bogor, as well as many other cities in Indonesia, has been troubled by graffiti vandalism done why irresponsible people. Lots of public facility have been victims of scribbles and graffiti. 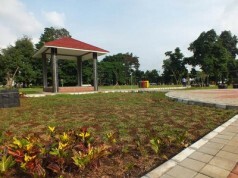 In order to minimize such bad actions, the government of Bogor City took a positive side action by providing a park where people can express their feeling, thought, as well as critics directed to the government. By providing a place, it is expected that vandals who usually target public facilities for the delinqunecy actions will utilize this park and do no more harm to the facilities. 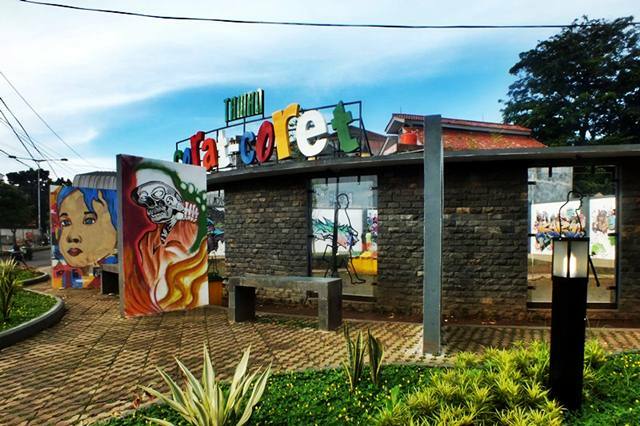 The Graffiti park is located at T-junction between Achdmad Adawijaya and Achmad Sobana streets. It is not too big, only 300 meter in size. At this moment, some graffiti artists have utilized the place to show off their capability by drawing many doodles on the walls. You can see some pictures of what you can see on the Graffiti Park in this articles. 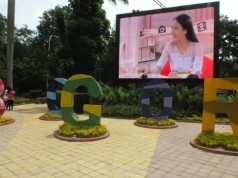 It makes me no wonder that until now the park has been visited not only by people living in surrounding area but also who comes from all over Bogor. The Graffiti park has been also another favorite places for visitors from other cities to take selfie. 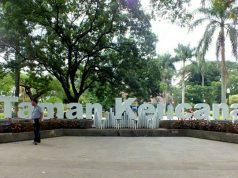 The fame of the park has been encouraged by the fact that the location is in the middle of the two streets known as most visited areas. There a lot cafe, cofee shops and other culinary shops along those two cities. Not big. Not luxurious. 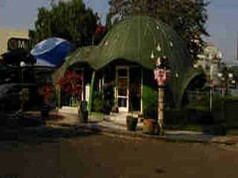 However, if you can get a picture with you here, then you may bring special memory from the Rain City, Bogor. Previous articlePohon Bintaro : Tikus dan Manusia Bisa KO!